In his twitter feed on April 9th, Cardfight!! 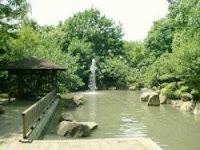 Vanguard series creator Ito Akira talked about the Fuchū City Park, a public park located in western Tokyo. Specifically, the park is relevant because of its pond and model displays, which line up almost perfectly with both the anime and manga's depiction of Aichi's city. 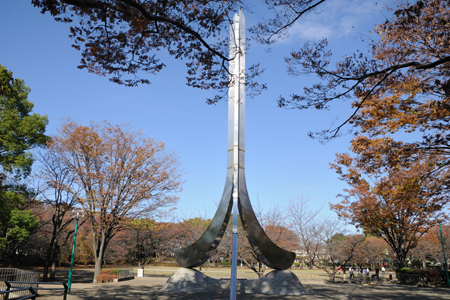 As one of the cities inside Tokyo, Fuchū is also a part of Kanto, which supports the city's status through MC Miya's announcement in rides 16-22 that Aichi and his friends are participating in the Kanto Regional. 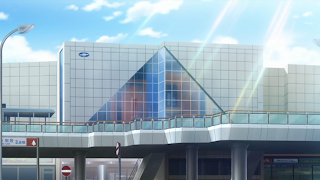 Incidentally, real-world regional tournaments are based on city, not region as the anime has it. The park's pond can be clearly seen in rides 2, 33 and 68. 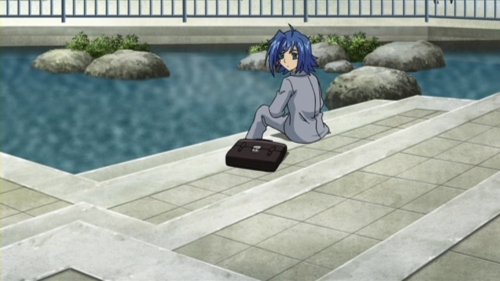 Aichi frequently visits this location when depressed or needing to think through recent events. 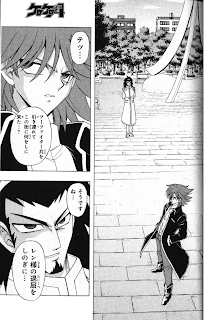 Tetsu and Kai meet up by this monument to discuss Ren and the Foo Fighters in chapter 10 of the manga. Finally, the station that Aichi uses to travel to PSY in rides 6, 23, 43 and 69 is Fuchū Station. By train it would take about an hour to travel between Fuchū and Shinjuku, so there's no discrepancy between these locations and the timing the anime presents. Fuchū has a primarily service-oriented economy, which makes it an ideal location for a merchandise-based anime like Vanguard. It would not be at all difficult to imagine Card Capital having set up shop here. 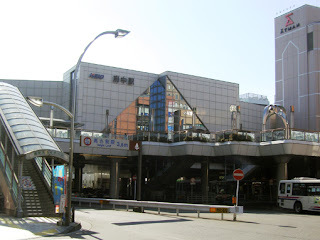 Ironically, the store that Card Capital is based on is actually located in Akihabara.